Hear Our Prayer O Lord panel is four Catholic prayers including Hail Mary, Grace before Meals, Guardian Angel Prayer, and Glory Be. 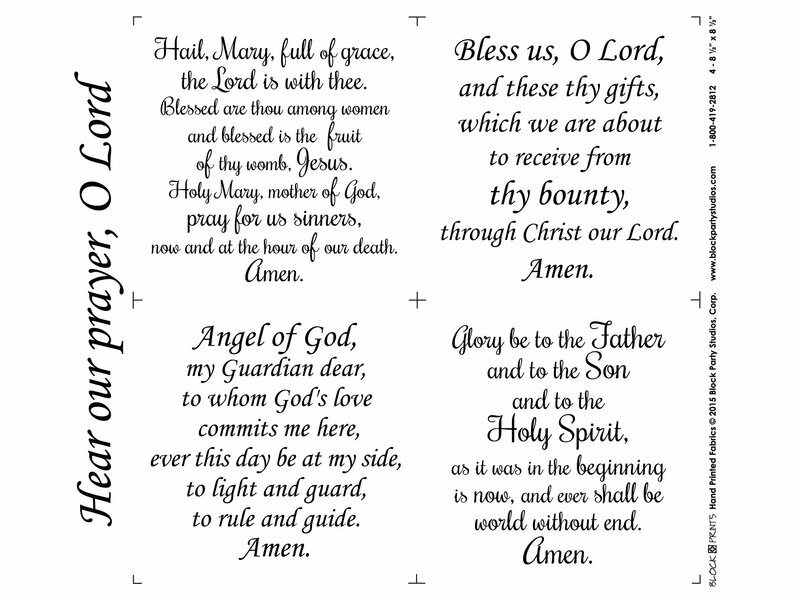 Each prayer is on a 8 1/2" x 8 1/2" square finishing to 8" x 8". Comes in White or Natural 100% Kona Cotton.